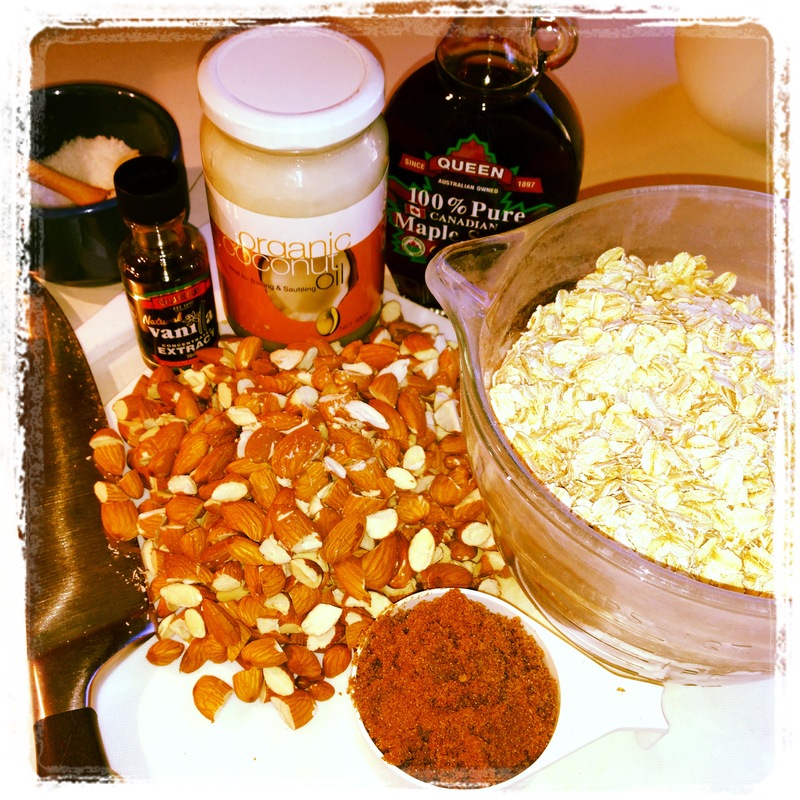 There’s magic in these ingredients! Adjust oven rack to mid-upper position and pre-heat oven to 160C (325F). Line a 250mm x 330mm (9 x 13”) pan with silicon baking paper. In a large bowl thoroughly mix syrup, sugar, vanilla and salt. Add in oil and mix well. 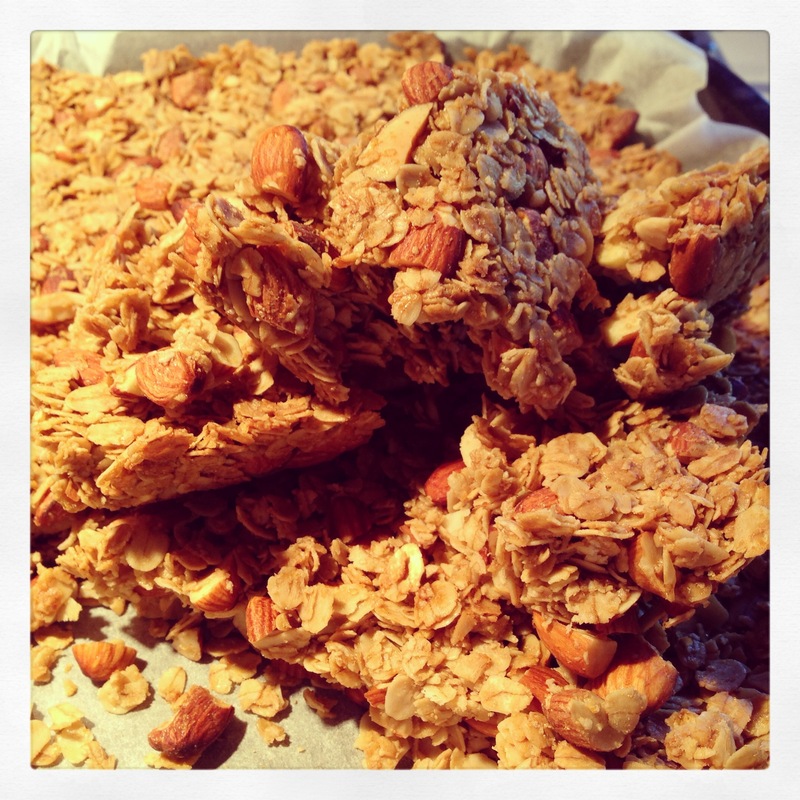 Mix in almonds and oats until all is well coated. Transfer mixture into prepared baking pan and spread across evenly. With the back of the spoon press the mixture down into the pan. 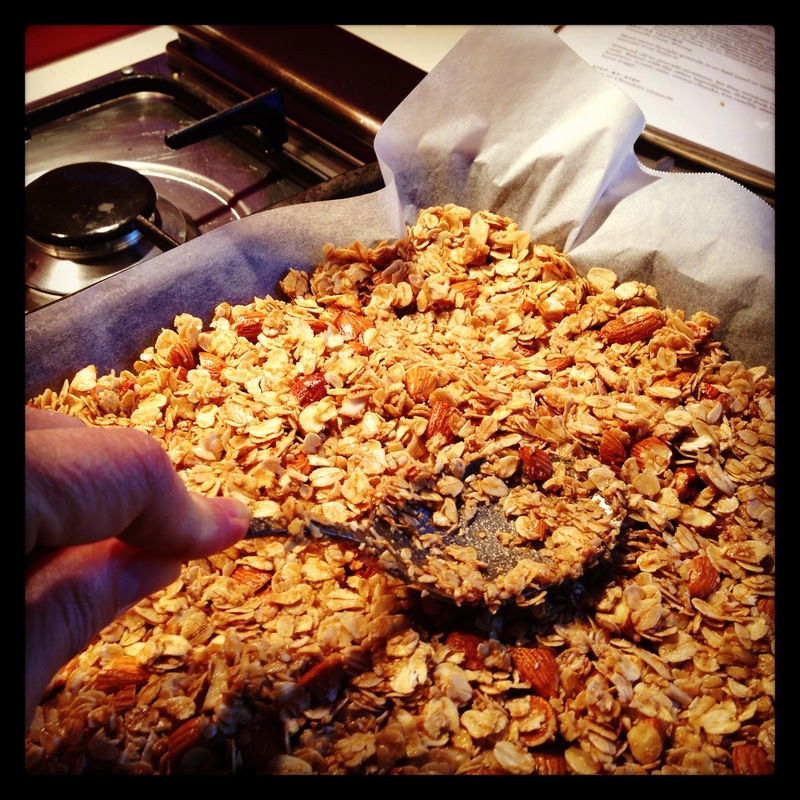 Unlike other toasted muesli recipes where you want the mixture to remain loose, this one should form one huge, toasted muesli ‘cookie’ when done. Bake until lightly browned 40 to 45 minutes, depending on your oven, and your taste, even five minutes longer. You can rotate the pan once in the middle of cooking, though I forgot this once and it didn’t seem to make much difference. Remove from oven when done and allow to completely cool (if you can stand to leave it alone!) When cool, break it into large-ish pieces and store in an air tight container for several weeks. Originally toasted muesli (granola) was meant as a breakfast cereal, and this is delicious in that role, but you’ll want to add whatever fruit you like to it in this case. As I am gluten intolerant and fructose intolerant, I prefer to use it as a ‘topping’ or as a small snack. 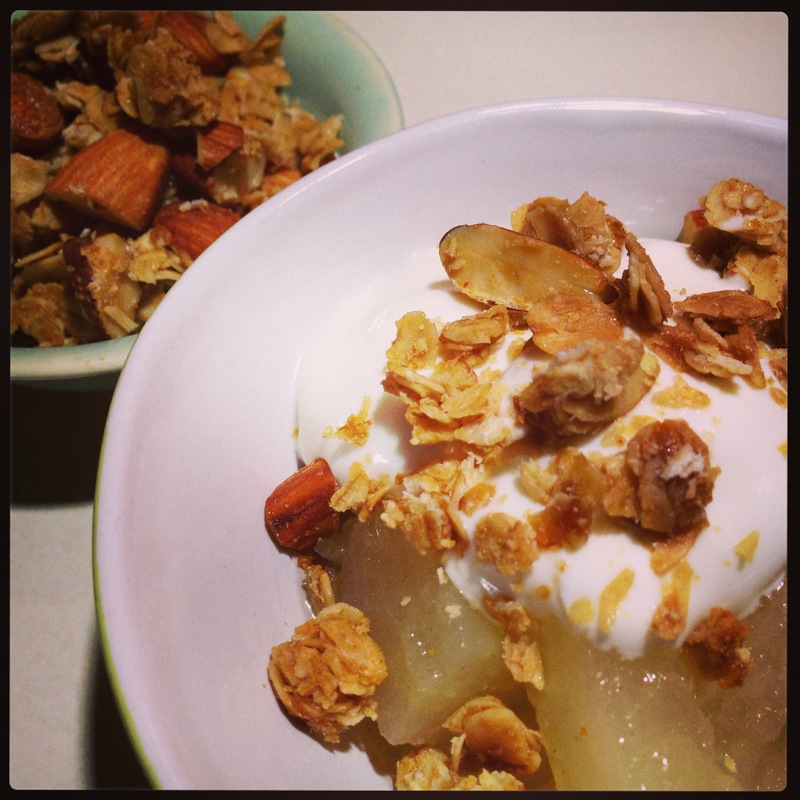 (the jury is still out on eating oats if you are gluten intolerant as it is easily contaminated by wheat) Below is one of my faves… homemade cooked granny smith apples topped with the muesli and a dollop of my favourite plain yogurt. As good as the best apple crumble… in my humble opinion! !